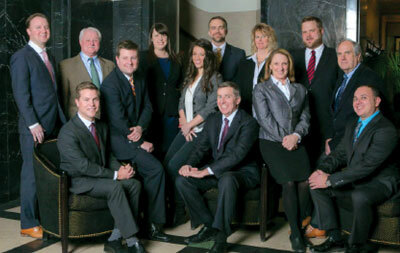 Six of the 11 attorneys at Dornan, Lustgarten & Troia PC LLO— Stuart Dornan, Jason Troia, Josh Weir, Joe Howard, Sean Conway and Mallory Hughes—defend people charged with DUIs, which equates to more than 85 years of collective experience. “Having six attorneys with DUI caseloads increases the knowledgebase exponentially. Our ability to share information and experience better serves clients and sets us apart from other firms,” attorney Jason Troia explains. Offering competitive rates with payment plans, the attorneys emphasize reducing harsh penalties and collateral consequences like increased insurance rates and loss of employment; Troia alone has been able to negotiate reductions—felony to misdemeanor, first offense to reckless driving, etc.—for 173 of 273 DUI clients since 2006. The attorneys also work to improve the individual’s decision-making through education and referrals for help, and most of them volunteer to speak at alcohol education classes offenders are ordered to attend on probation.